There are two simple reasons for this: usage of Google Reader has declined, and as a company we’re pouring all of our energy into fewer products. We think that kind of focus will make for a better user experience.Since Google Reader is going,we have find replacement for it. Feedly gets feature that: articles your read in feedly are automatically marked as read in Google Reader. 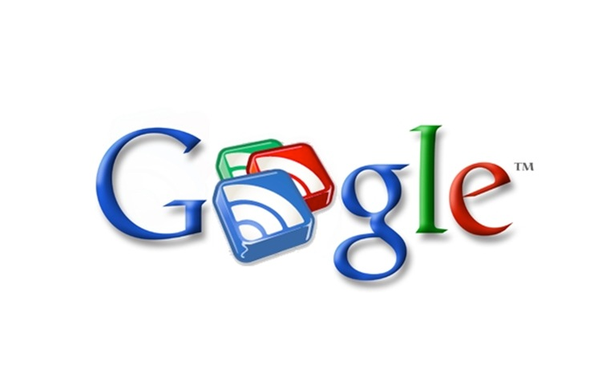 Articles you save for later in feedly are automatically starred in Google Reader. RSS feeds you add to feedly are automatically added to Google Reader.But since Google Reader is closing down, this feature will be useless. You can use Feedly subscribe the content of your favorite sites, rss feeds, tumblr blogs and YouTube channels. Or if you are sure it doesn't provide the content you want, you can just search here. If you run feedly on your Phone,it will automatically sync data in your tablet.If you find something interesting or meaningful, you can share content on twitter, Facebook and Google + directly. You can add your favorite web sites, blogs and social networks in Taptu. There is no need to register a new account for this, you can use your Facebook, Twitter, Linkedin or Google to log in and sync all the streams and stories that you read on multiple devices and taptu.com on your desktop.One distinguished feature is that a number of highly customizable widgets including Lists, Cards and Stacks, scrollable widgets from Android 3.0 with custom update times and multiple backgrounds. Except for the common point that you can subscribe your favored news,Pulse get Highlights function,Pulse Highlights point out the stories you care about, and it’s powered by the people you care about. Access to Highlights feed by tapping ‘Highlights’ at the top of the left navigation bar. You’ll see stories shared by your friends, and you can add your own by tapping the blue Highlights icon at the bottom of any article. if you want to download some articles to read on bus on the way to office tomorrow,Pulse did considered this for user.You can load stories when internet connected,then it will be available wherever you are even if you are offline. You can read news,blog in this beautiful magazine-like editions app.For it's Publisher editions,you can read full length, in-depth articles, videos, fine photography, and slideshows from Publishers such as Forbes, The Guardian, TechCrunch, PBS, Saveur, and more. As for the search advantage,you can use Google search technology to find the hottest breaking stories in categories such as world, entertainment, sports, science, and more. As you travel to different countries, additional breaking stories are added to match your location.If you want to read foreign article,the Google translate technology can help you translate editions into a preferred language of your choice. 44 languages are supported. Flipboard brings world news and social news together,it's easy to catch up with what you care about.You can search people, topics, hashtags, blogs, your favorite sites—and flip through articles, updates, photos and videos in a beautiful magazine format.It connects to current popular Flipboard to up to 12 social networks, streamlining your reading and activities like commenting, liking and sharing. Services include Twitter, Facebook, Instagram, Google+, YouTube, Google Reader, LinkedIn, Flickr, 500px, Sina Weibo and Renren.And Flipboard gets 15 localized editions—for Australia, Brazil, Canada, China, France, Germany, Hong Kong, Italy, Japan, Korea, Netherlands, Spain, Taiwan, U.S. and U.K..
All these 5 news reader apps get one in common:you can subscribe diverse news or magazines for free.And each one get their unique design.Since Google reader is far away from us,it's time now to pick up one what favor your reading habit.